Hello my lovely readers, I am so sorry it's been a couple of days since my last post. I was hoping to get this up yesterday but Lexi had her 1 year injections and wasn't feeling fab afterwards so there was no time to write up a post. I absolutely hate seeing her in pain, but I know it is for the best to keep her safe from all those nasty bugs. Today's post will probably be quite short compared to my others, but I still wanted to share with you my Wintery Jelly Sandwich. 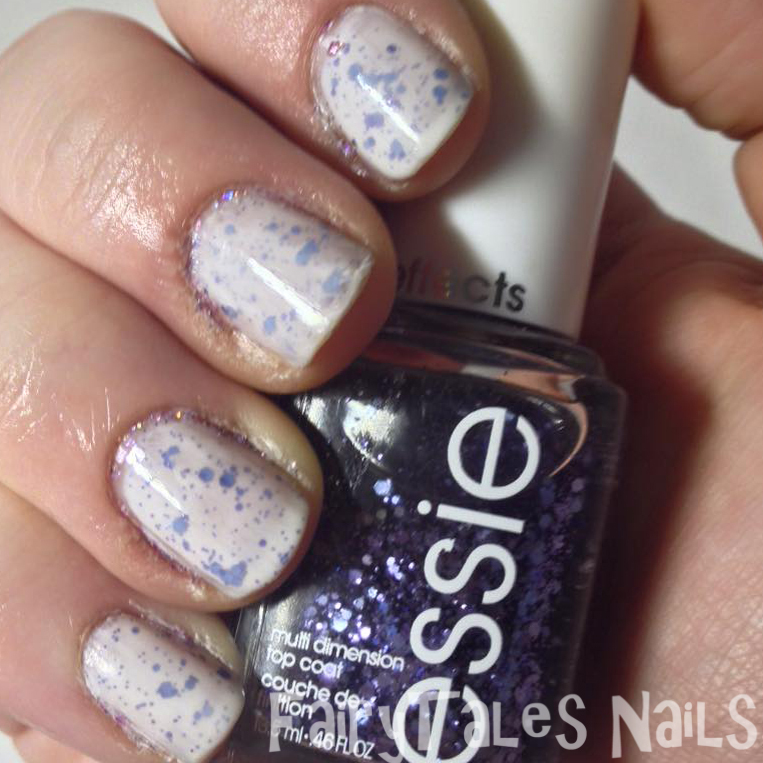 This manicure is using Essie's Marshmallow and Essie's Stroke of Brilliance from their Luxe effects collection. I picked up Stroke of Brilliance in one of my Tkmaxx hauls, click on the link if you would like to see the rest of the treasures I found. 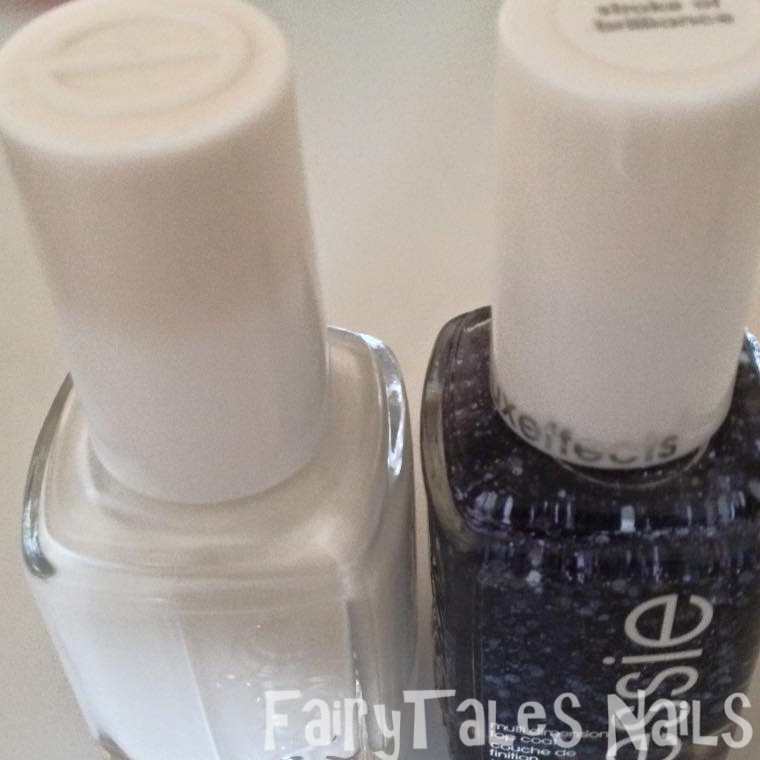 For my Jelly Sandwich the first thing I used was Essie's Marshmallow, this is a white jelly polish very sheer so perfect for creating a jelly sandwich. I brushed on two coats of Marshmallow and then used my top coat to make sure all of those layers were dry. Once that was completely dry I grabbed my Essie's Stroke of Brilliance, this is a glitter topper in a clear base full of small circle and hex glitters in a periwinkle blue. To make sure I didn't have too much base on my nail I let most of the base drip back into the bottle so I was just left with the glitter. 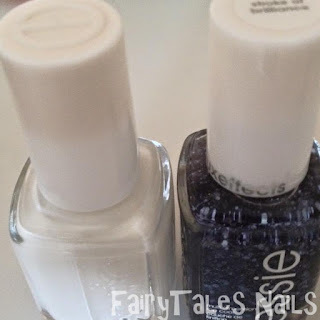 On each of my nails i used one coat of Stroke of brilliance and then another coat of Essie's Marshmallow. This created the perfect looking crelly, I will definitely be trying this polish out with other glitters to see what other creations I can come up with. I am really happy with final look, Essie's Stroke of Brilliance is the perfect periwinkle blue for a wintery looking manicure. I did use some HK Girl top coat to give it that extra bit of shine, and I am really happy with this top coat. It doesn't go gloopy like Seche Vite and the formula is so smooth so it is really easy to apply and there is no shrinkage or smearing. So I would definitely recommend the HK girl top coat from Glisten and Glow, I picked mine up from the fabulous Rainbow Connection for £6.85. I hope you have enjoyed this post, I have the Ejiubas Christmas plate review coming up next so stay tuned for that. I would love to see some of your Jelly Sandwiches, so feel free to leave them in the comments below and I would love to hear any feedback you may have about this mani or my blog in general. As always I hope you are having a great nail day, see you in the next post.